What is “Munchers” mobile slot about? Munchers is a video slot game created by NextGen Gaming. Its unusual theme will surely surprise you as it is set in some abandoned greenhouse, where a moving water pail, swinging lights, and a sprinkler with a life of its own are sitting in the background. It is a standard 5-reel, 3-row, 25-payline video slot, with a few twists to make the game fresh every time you play. On these reels, you will see plenty of gardening themed symbols such as gardening tools, gloves, spiders, weird bugs and poker card symbols that come in colourful designs surrounded by plants. No progressive jackpot is available in this slot. You can win a top jackpot of $10,000 (€9,420). Munchers also does not offer any multiplier. The graphics and the sound are really enjoyable. The betting range in this slot is from 0.01 up to 50 and coin betting range is from 0.01 up to 2. In this slot, available coins per line is 1 and no bonus game is offered. Under the reels, you will be able to find the betting options that Munchers has to offer. The 1st betting option is the number of lines you want to activate, as you can activate from 1 up to 25 lines and the 2nd option is the value of the coins which varies from 0.01 to 2 credit. There is also an Auto Play feature in which you will specify a bet along with a number of spins. Then all you will have to do is to sit back and watch the reels spin as you rack up on great rewards. 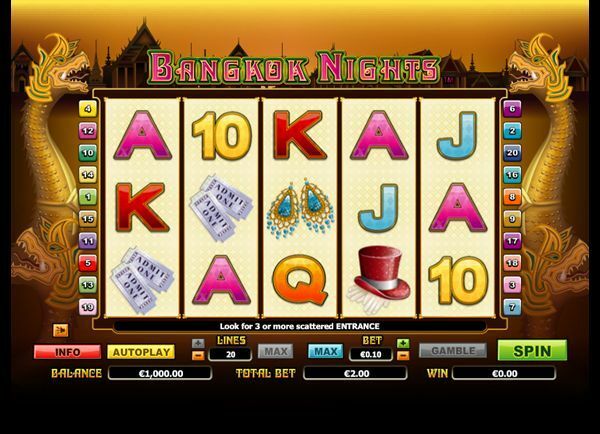 The game also offers you a gamble feature that is activated when you earn any payouts. You will have a choice to enter a 50/50 gambling game in order to double or quadruple what you have won by risking it. Munchers does not offer any downloadable app so you do not need to download any app to play it on your mobile. It is compatible with HTML5 and is playable on all sorts of mobile phones consisting of both Android and iOS operating systems. Therefore it does not matter if you are an iPhone, iPad, tablet or smartphone user, this slot will accompany you anywhere. The Green Plant Monster with big teeth, the Muncher, is the Wild Symbol in this slot which can replace any other symbol except the scatter symbol. This wild symbol will potentially reward you with a huge amount of cash. Highest non-bonus symbol is the Mosquito symbol as 5 of these on a winning line can pay you up to 1,500 coins. When you receive 3 or more of the Watering Can scatter symbol anywhere on the reels, you will be awarded with 10 free spins. During the free spins, at the end of each spin a random number of reels (up to 5), will be turned in to wild reels. Coins grow at the Coinbush, you know.